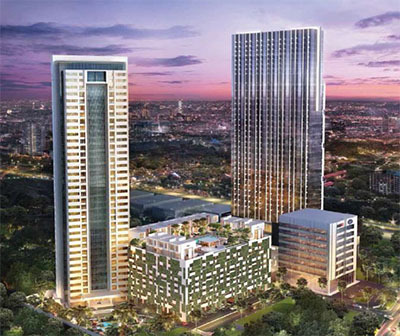 Miliki Segera Gallery West Residences yang berlokasi Sangat Strategis diantara Jalan Perjuangan samping RCTI / seberang pintu toll Kebon Jeruk dan Jalan Panjang. View Gallery West – Kebon Jeruk – Jakarta Barat in a larger map. Beli sekarang sebelum harga naik, Unit terbatas ! Disclaimer – All artists’ impressions, renderings and illustrations provided may not always reflect the conditions of the actual specifications. The developer also reserves the right to change the building’s name, facade, logo and to modify the units to meet the appropriate licensing requirements as well as to conform with authorities’ regulations. Please check with our sales team for latest information and development.